Our supersoft pointelle play sets will keep baby cosy from day to night. The two options come together in a handy bag, making a great present for new parents. 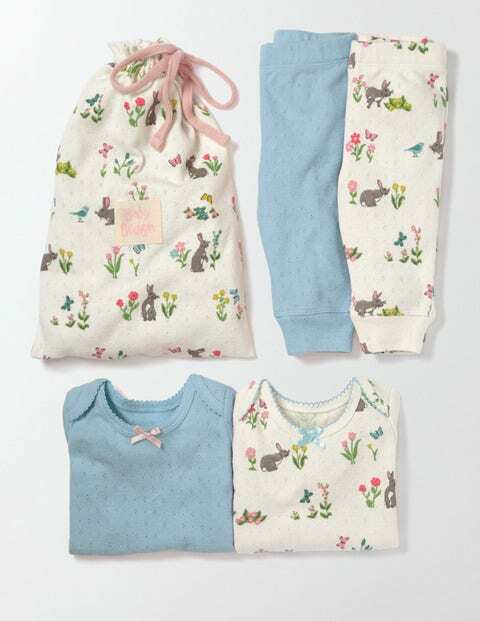 And we've made the cotton mix extra-soft so the little one stays comfortable, no matter what the day holds.